The eleventh edition of FINANCIAL ACCOUNTING guides students through the what, why and how of accounting in today's business world. 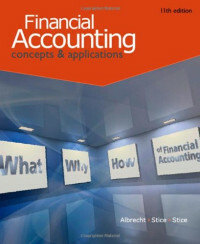 This textbook offers a solid presentation of concepts and procedures blended with a wealth of real company examples and solved exercises to ensure student success in the practical application of fundamental financial accounting principles. Students will learn to effectively use and prepare financial accounting information for decision making with various features that encourage critical thinking, highlight ethical considerations, and consider global implications. Emphasizing the relevancy of accounting to the business world, this edition is perfect for any student, regardless of future career plans or goals. Change or die! With this stark claim begins the journey through the corporate lifecycle. Why do so many companies fail? Why do managers struggle to recognize change early or hesitate to take vigorous action? Why – and how – must the traditional lifecycle concept be modernized if it is still to provide valid orientation? BLACK+DECKER The Complete Guide to DIY Greenhouses contains building plans, information, and tips to help you build and run your own greenhouse from the ground up.